Book your Bass Hill printer repair technician in 5 minutes today! 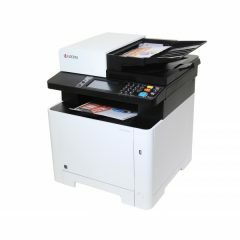 Global Office Machines are specialists in Printer Repairs Bass Hill has for services and maintenance. Our technicians have a wealth of knowledge and technical competence to handle all kinds of printer issues in all printer makes and models. Over our operation here in the last 20 years, we have built a strong base of customers thanks to our quality, efficiency and professionalism. Situated in the local government area of the City of Bankstown, Bass Hill sits just 23km to the south-west of the central business district in Sydney. Bass Hill, a suburb in the Canterbury-Bankstown Council, is one of the booming areas surrounding the Sydney CBD. It has a huge shopping centre, schools, sports facilities, a new residential housing estate, and other commercial establishments. These and other opportunities make Bass Hill a good place to start a business. Global Office Machines (GOM) have been happily serving local clients for more than 2 decades. We supply the very best number of top quality office machines for sale in Australia: multifunction printers, laserjet printers, large format devices and more. Our clients in the region include government, local schools, small businesses and private customers. Browse through our selection of office printers, exclusive deals and interesting new releases. We specialise in printers for schools, government, corporate, small business and consumers. Our diversified selection of printers for sale cover the full range: laserjet printer repairs, photocopiers, large format devices and multifunction printers. Check out our excellent selection of office printers and exclusive deals, or speak to us at 1300 882 852 so we will assist you to locate a product which meets your needs. In Bass Hill, we are the best provider of printers for sale in the area, serving government offices, schools, local companies and private consumers. Our technicians have specialised knowledge and skills for many different models and brands. They will go on site to deliver your machine and set it up without delay. GOM has the best selection of printers, multifunction machines, photocopiers and other office machines in the region. Browse through our product categories and pick the most effective office machines for your needs, then contact to arrange delivery and setup. Book your technician for Bass Hill today!